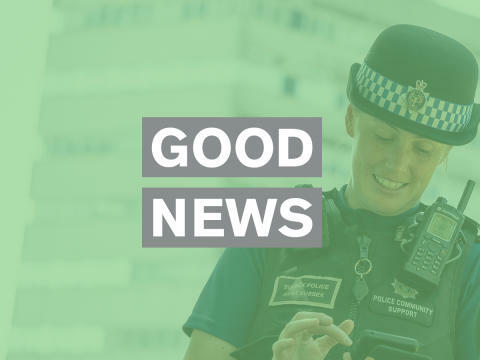 A rapid response scheme by banks and local police prevented 353 potential victims in Sussex from being defrauded out of £2million in 2018, new figures have revealed. The Banking Protocol trains bank staff to spot when someone is about to fall victim to a scam and try to prevent them from withdrawing cash to give to a fraudster, after which they can request an immediate police response to the branch. A total of 19 arrests were made by Sussex Police last year through the initiative. The 353 calls to Sussex Police in 2018 from banks and other financial institutions under the Banking Protocol, related to potential victims with an average age of 75. In each case police responded and succeeded in ensuring that the person did not hand any money over. These interventions related to attempts at; courier fraud, rogue trading, romance fraud, software service, financial abuse by someone known to the person, and investment fraud. 19 arrests were made in 2018 from banking protocol alerts. Latest figures published by UK Finance reveal that across the country the scheme has prevented £38 million of fraud and led to 231 arrests in 2018. The average age of a customer helped by the Banking Protocol nationally last year was 71, showing how fraudsters are often targeting more elderly victims with these types of scams. The Banking Protocol was rolled out by Sussex Police in June 2017. By March 2018, the scheme had been implemented by all 45 police forces across the UK. Since June 2017, 499 such calls have been received by Sussex Police from banks and £2,733,605 has been saved from being defrauded. 52 payment service providers, including all the main high street banks and the Post Office, are now fully signed up to the Banking Protocol and have trained up their front-line branch staff in the steps that need to be taken when a customer is at risk. The initiative, which was developed in partnership with National Trading Standards, trains bank branch staff to spot the signs of a scam and what steps need to be taken when a customer is deemed at risk. If a staff member suspects a customer is being tricked by a fraudster, for example if someone is making an unusually large cash withdrawal, they will take them aside to ask additional questions. If their suspicions are confirmed, the staff member can then invoke the Banking Protocol and contact the local police, who will send a priority response to the branch and investigate the suspected fraud. As well as stopping attempted fraud, the scheme ensures that extra support is provided to those customers affected to help prevent them falling victim to similar scams in the future. This can include referrals to social services, expert fraud prevention advice and additional checks on future transactions. The figures are based on data provided to UK Finance by all 45 police forces across the UK participating in the Banking Protocol scheme. Detective Inspector Mark O'Brien of the Sussex Police Economic Crime Unit said; In Sussex this process is embedded within the force's Operation Signature. The Banking Protocol is well established in Sussex and has proved very effective in preventing fraud against the vulnerable. Following a call from the bank, police attend and take positive action in crime recording and ensuring the victim is safeguarded, reducing further risk by multi agency intervention." Further valuable support comes from two case workers, funded by Sussex Police and Crime Commissioner (SPCC) Katy Bourne, and working through Victim Support, who support vulnerable victims who have been systematically targeted by criminals in this way, following up on referrals from Operation Signature. Katy Bourne said; "“I'm very proud to have funded these case workers. They have achieved so much, offering invaluable emotional support as well as practical advice to some of our most vulnerable residents. “It's particularly heartening that out of the hundreds of clients they have supported, so little have been referred back to them. This really does show the valuable work they are doing to enable people to better protect themselves from future victimisation. - Be wary of any calls, texts or emails purporting to be from the police asking for your personal or financial details, or for you to transfer money. - If you are approached, or feel something is suspicious, hang up the phone and don’t reply. Then report it to Action Fraud and your bank on their advertised number. - Never send or give money to anyone you don't know or trust; check people are who they say they are; don't share your personal information; make decisions in your own time; and if in doubt phone a relative or a friend. Operation Signature is the Sussex Police campaign to identify and support vulnerable victims of fraud across the county. Fraud is becoming more complex and deceptive, and much of it is targeted at vulnerable and elderly people. The force has a process for recognising victims of all fraud as victims of crime and providing preventative measures to support and protect them from further targeting. This can include helping them to change their phone number to an ex-directory number, contacting family to suggest Power of Attorney, mail re-direction, offering them advice on call blocking devices and referring them to other support services. For further information about Operation Signature and ways of preventing fraud against elderly and other vulnerable people see the Sussex Police website here. Sussex case studies on use of the Banking Protocol are available.